A new category has been created in order to group together a large series of gift ideas for the Holidays this year. Keep track of what’s new and available by visiting regularly since I’ll be posting the photos throughout the Holiday period. 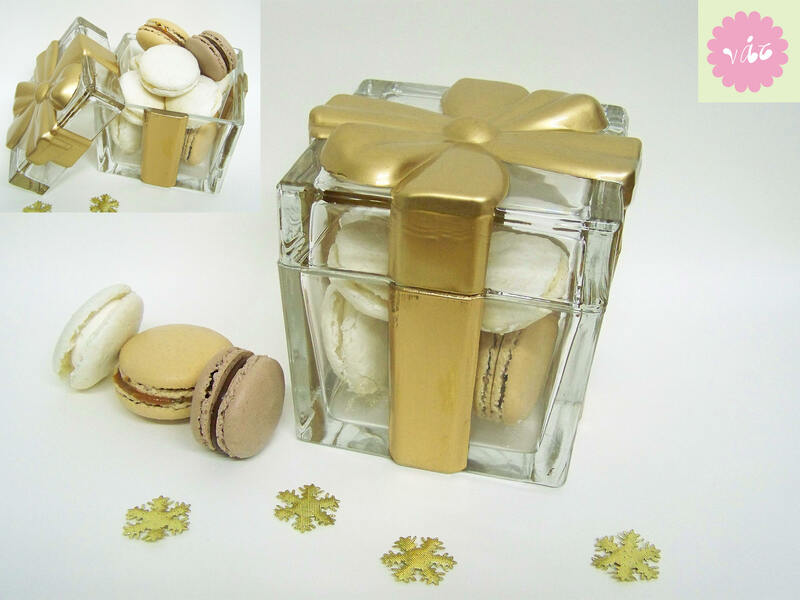 First up is this beautiful heavy duty glass gift box, containing about 260 gr of macarons for €20.00. 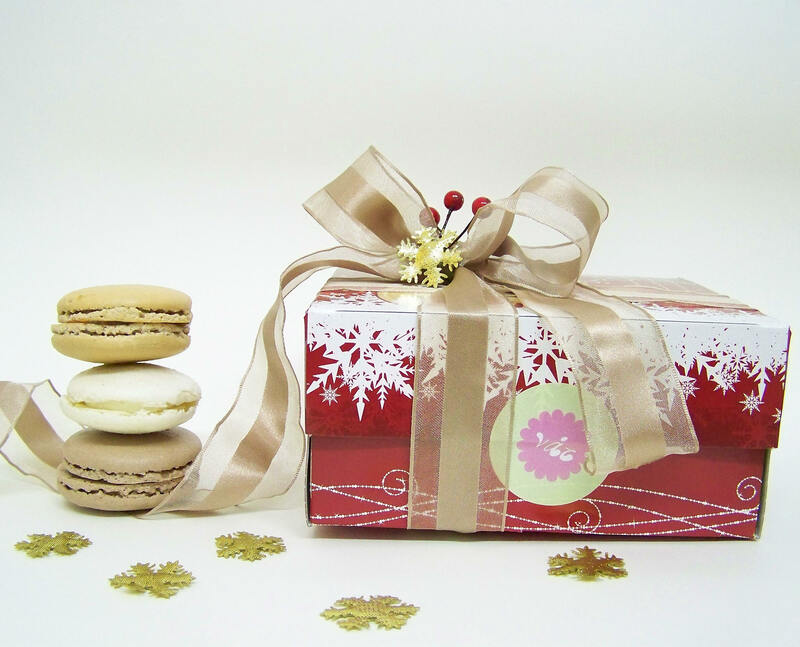 All gift ideas I’ll be posting can just as well be filled with butter cookies, meringues or other. Price being adjusted according to the box’s content. 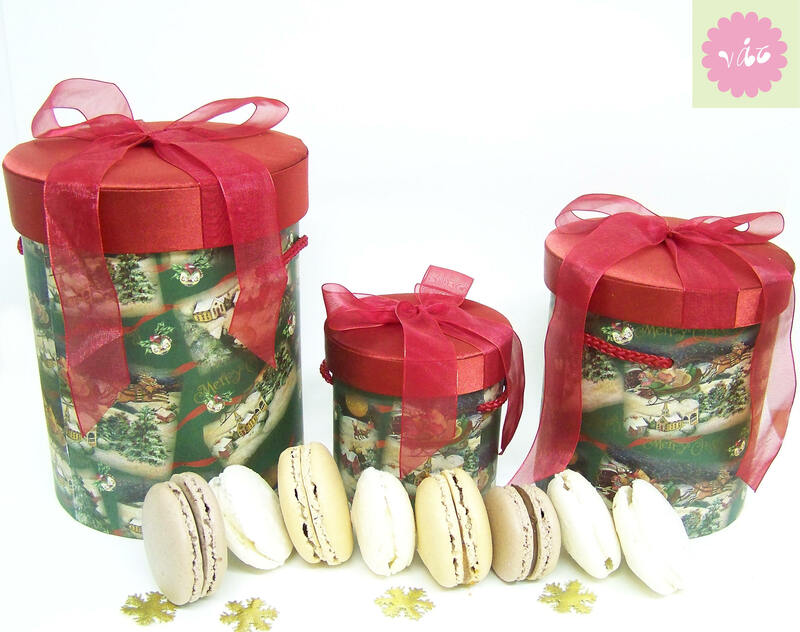 Christmas carton cylinder boxes available in three sizes.